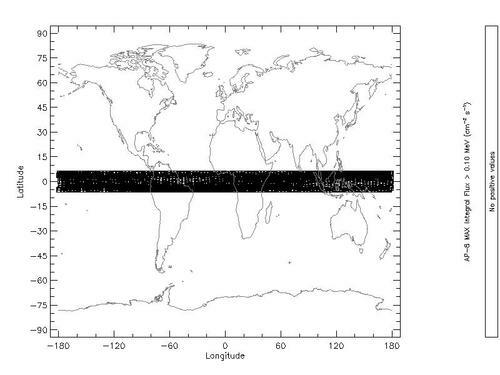 These plots are the corresponding ones from SPENVIS for a 5o inclination orbit. As can be seen from the graphs, the proton flux in a 5o inclination orbit is negligible. The trapped electron flux in this orbit is also quite small, but for both a more detailed evaluation of both would be required. The tabulated data is in this attached file. 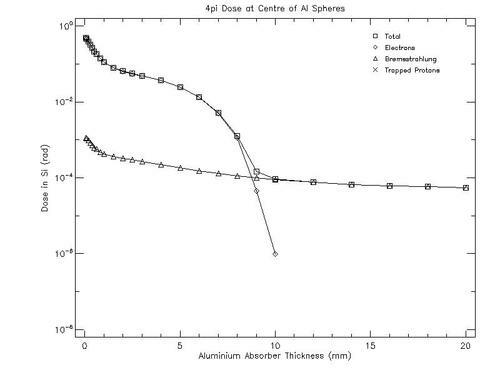 The total dosage on a Silicon sample can be plotted as a function of Aluminium shielding thickness. The first graph is plotted using this data, and shows the centre of sphere model. This is where the sampel is set at a centre of an Aluminium shielding sphere, and is exposed to significant secondary radiation from interaction between the primary source and the shielding. 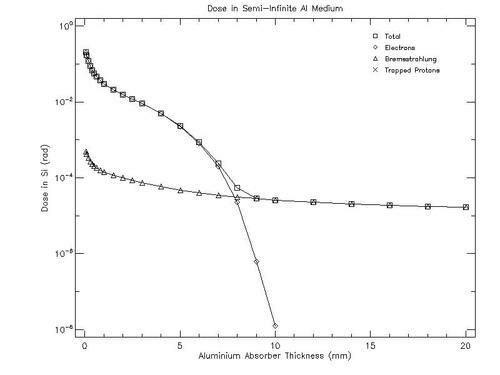 The next model is the Semi infinite model, where a slab of Aluminium is infinite in width and length, but not in thickness, with the radiation source and the sample on opposite sides of the slab. The data for this model is linked. 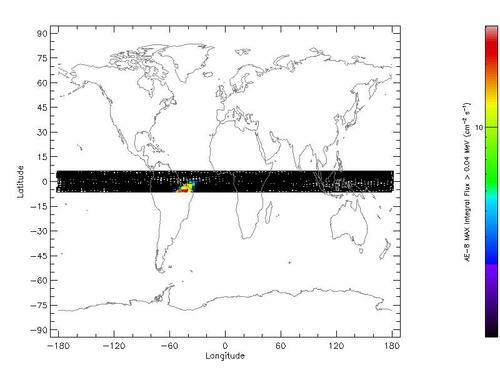 This second plot is more realistic, but shows a lower total dosage, which is benificial to the satellite.